It’s cold and wet out today and spring still feels like it is ages off, but I’m in the mood to look at pretty, light dresses anyway because if I don’t show you the good ones when they turn up, they sell out. First up: I love a dark floral, and this one drapes so beautifully. I’d wear it with a cardigan or shrunken leather jacket. 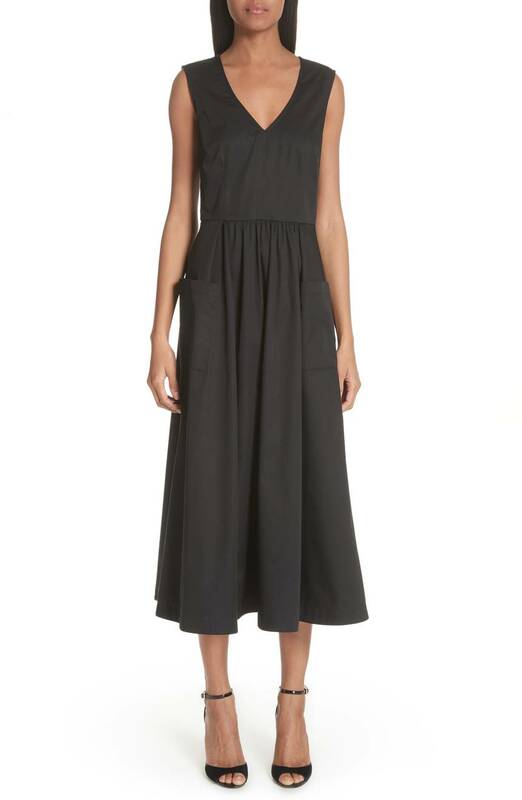 A simple dress with universally flattering lines—and pockets, which is always a plus. 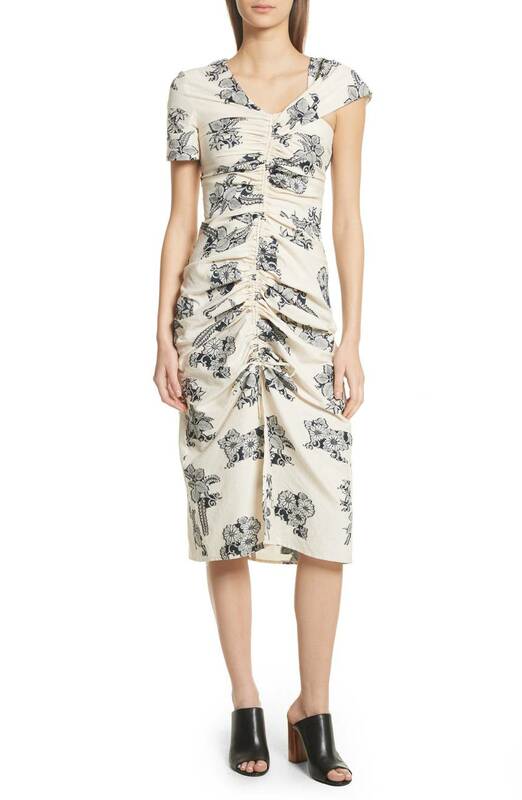 I don’t typically go in for such a graphic floral, but this Marc Jacobs dress is just the cuteness. 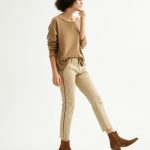 I’d wear this peasant-y n umber layered over a long-sleeved tee now, and on its own later. This just looks endlessly chic, but quite professional too. I like that everything here is simple except the sleeves and that standout print. This dress just looks so put-together and polished. I never post anything by Tory Burch, because it never really thrills me, but I zoomed in on the print here and it’s really good. Also, it flows quite nicely. 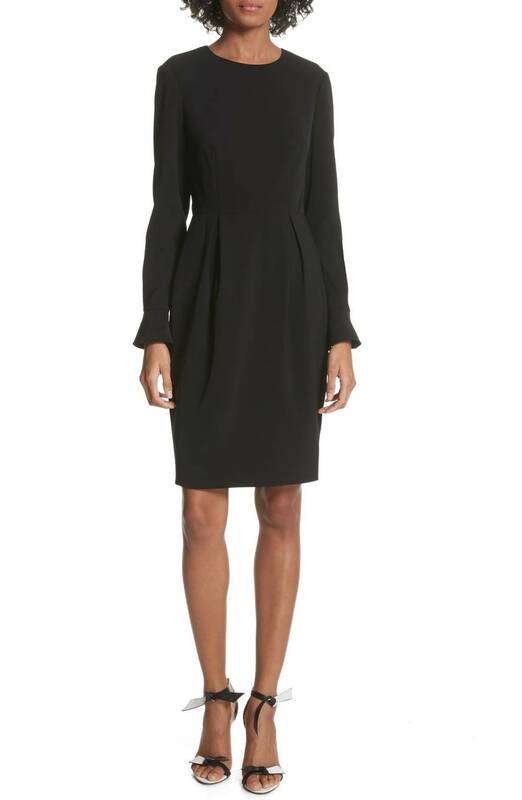 A dress that would serve you well for work and whatever you’ve got planned afterward. Just a simple, flowy linen dress. I think this dress would take you just about anywhere. This just pops so nicely. I like the contrasting stripe business going on here. I’m not always the biggest fan of dots, but the fact that this is against a brown background sort of makes it unexpected and appealing. 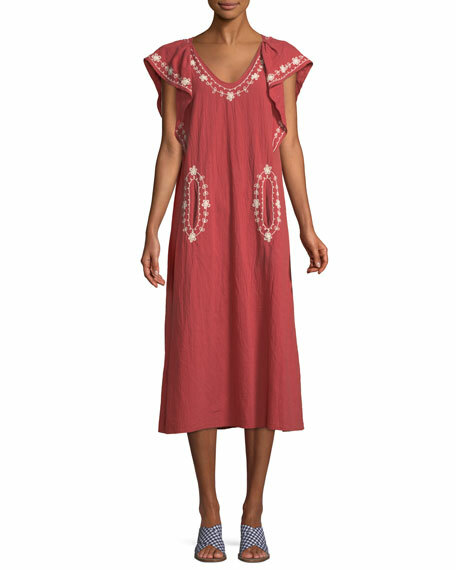 OK, this is a very summery dress, but it’d look great layered now with a sweater and big boots. Ruffles are usually too prissy for me, but I think this dress works because they’re pretty subtle. Plus, that yellow! I really want this—it’s nicely feminine and pretty sweet without coming off too girly. This just looks like a good option for throwing on whenever. The ruching here makes this very becoming. From Allsaints: a good one for days when you want to feel like you’re wearing nothing at all. 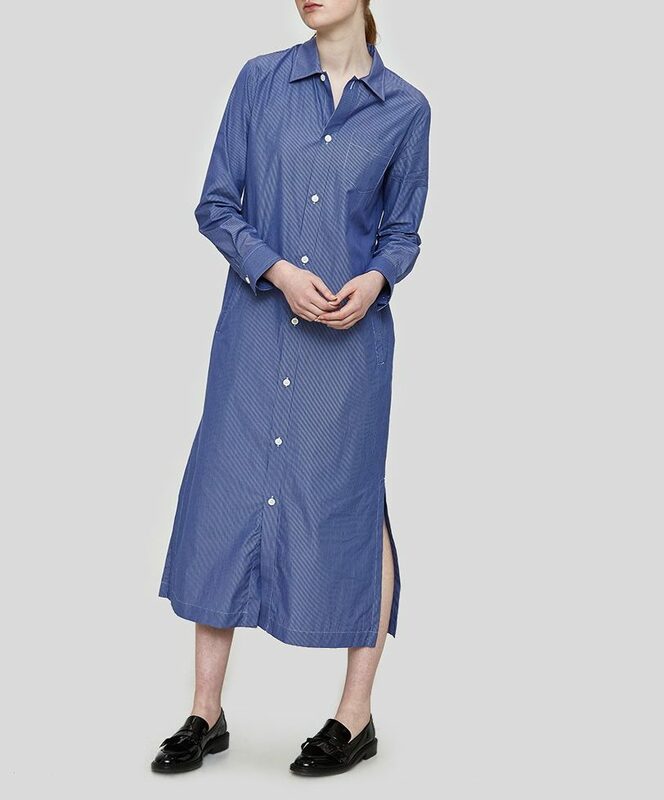 I like the longer length on this crisp shirtdress from A.P.C. Stripes are rather unexpected and fun here. 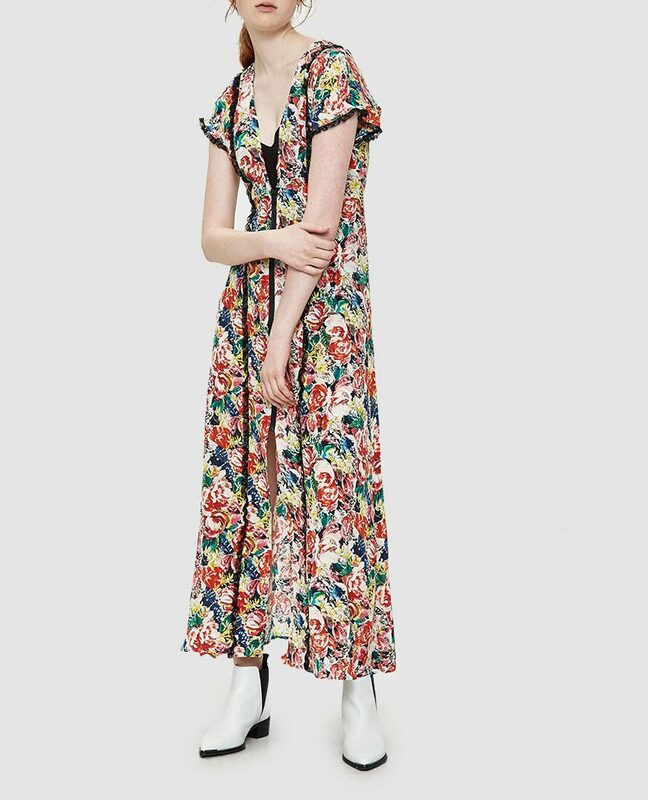 I was on the fence about this dress from Ganni, but in the end I decided the candy-colored print was a winner. This is just the tiniest bit Stevie Nicks—in a good way. 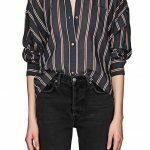 I like the shirttail hem here, and the print is so pretty. From Universal Standard: such a good blue, and I like the sweater-around-the-waist-effect belt. I am constitutionally incapable of not linking to a good leopard print. 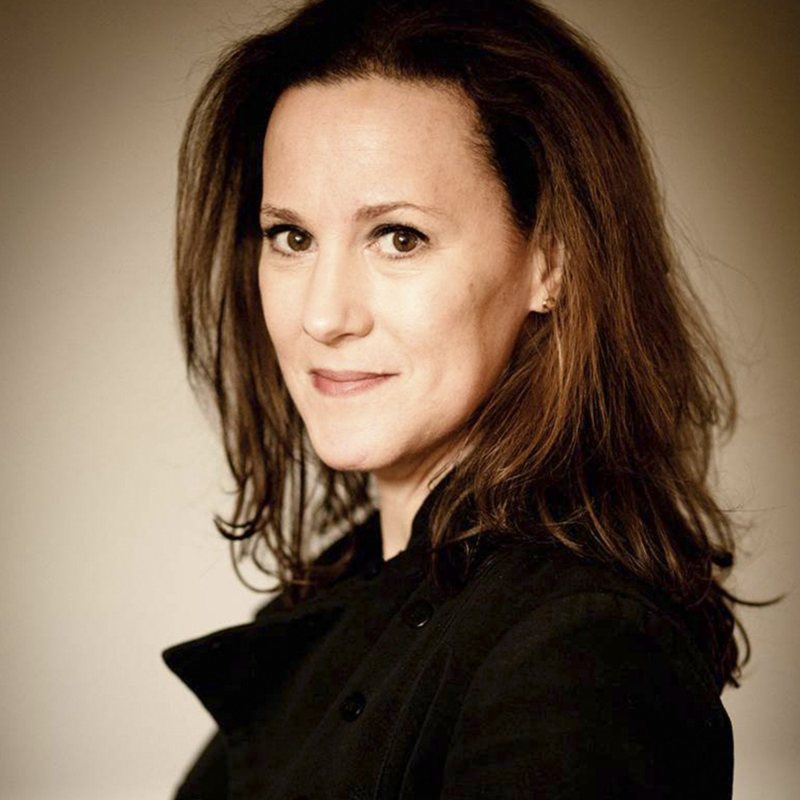 I like the somewhat Grecian cut here. This definitely needs a belt to finish it off, but it has such a nice drapey thing going on. The second one…the black one with the pockets…YES! The second one...the black one with the pockets...YES! The Jona Lune summer dress! Already sold out in my size! ACK!!!! 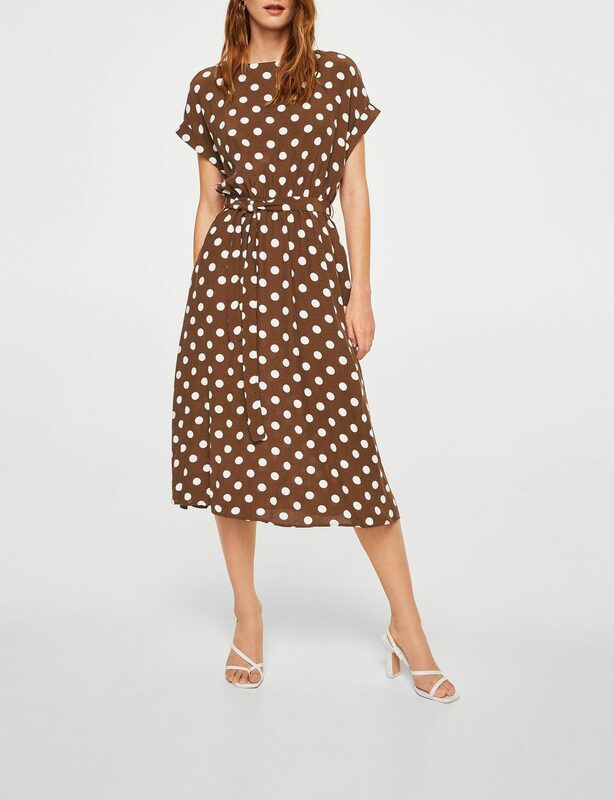 Also love the brown polka dots and I don’t normally love brown nor polka dots––must be stretching my fashun legs!! Just wanted to say thank you for the longer-length selection! 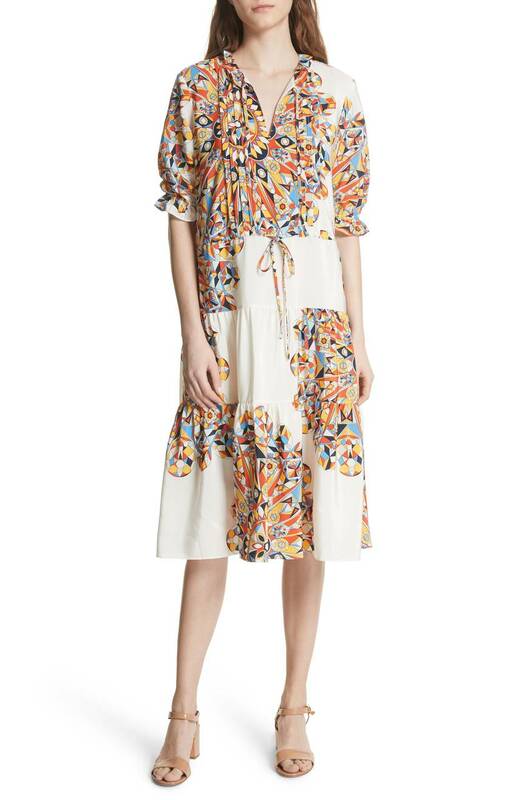 That Tory Burch dress is not overtly Tory Burch, love it. The Rebecca Taylor may be my next purchase. What a wonderful post, love that they have grown up hemlines!! Yes! I can’t see a white dot on brown without seeing Julia Roberts on a grassy lawn, oblivious to the fight with Jason Alexander heading her way. 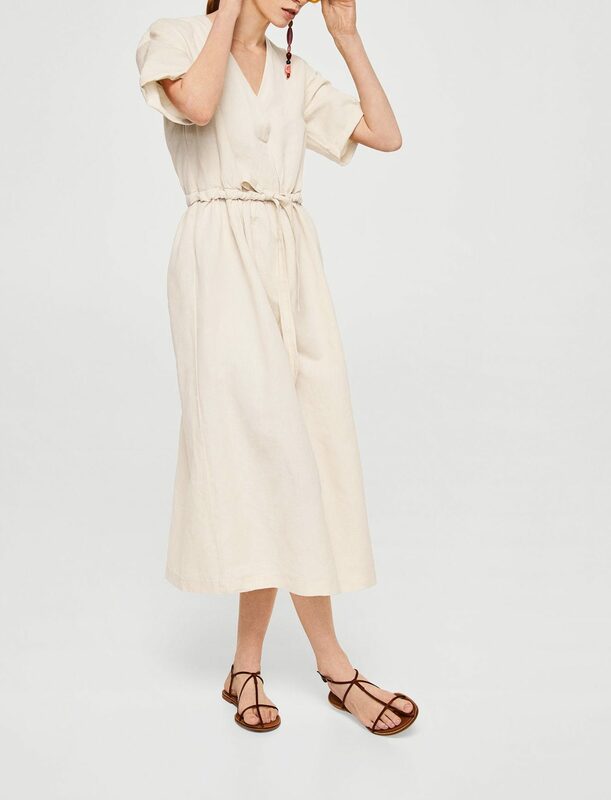 Ironically, I went to Uniqlo over lunch and bought two spring dresses, that I know I won’t be wearing for months.. clearly, I am not the only person pining for spring! 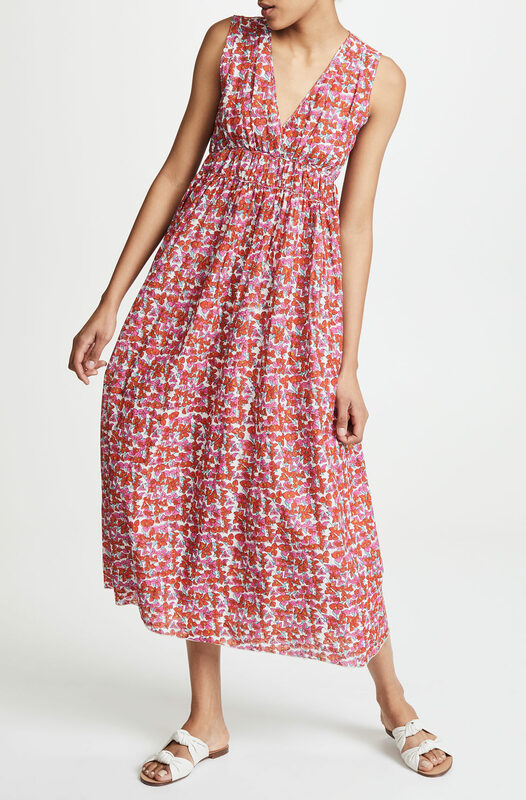 Ironically, I went to Uniqlo over lunch and bought two spring dresses, that I know I won't be wearing for months.. clearly, I am not the only person pining for spring! Love the striped wrap dress but is anyone else challenged with bust size and front wrap? 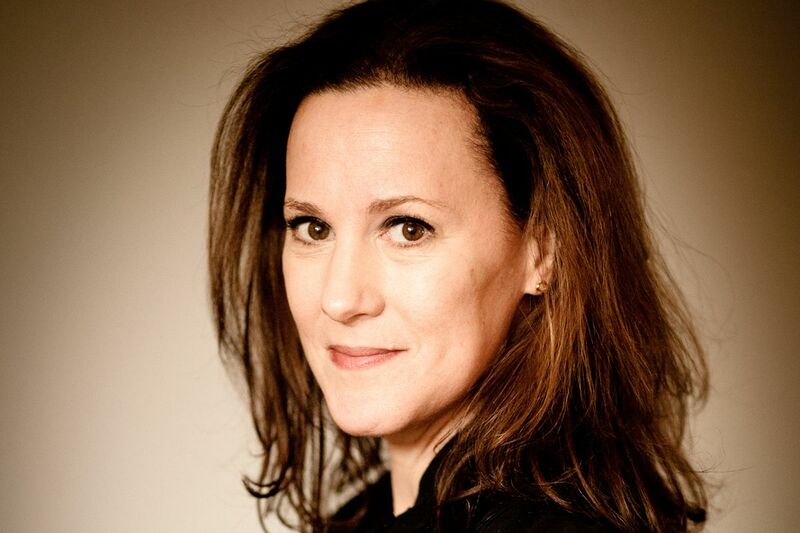 I’ve tried on a DVF and it was a no go. Love the striped wrap dress but is anyone else challenged with bust size and front wrap? I've tried on a DVF and it was a no go. 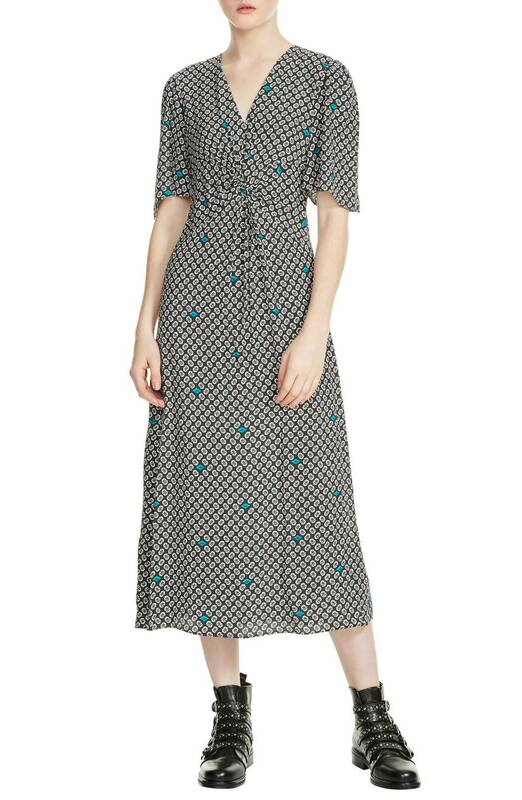 I always have to go up at least one and sometimes two sizes in DVF for just that reason… which is fine, because wrap dress, but psychologically it’s a bummer. 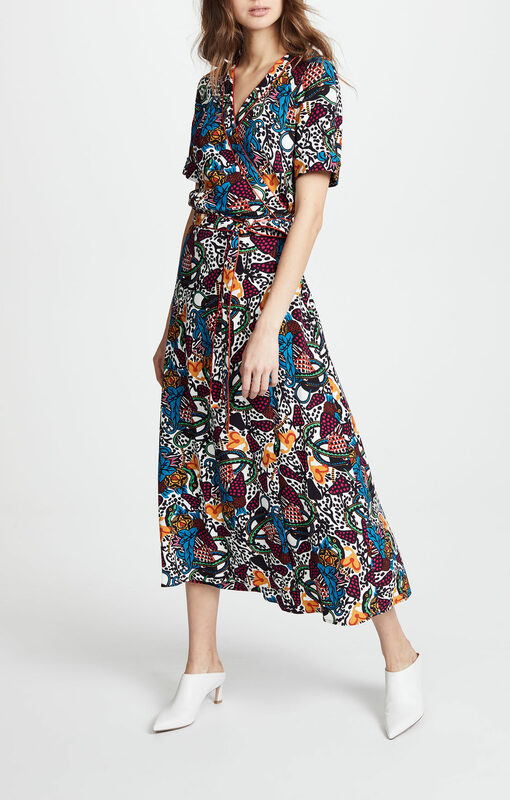 I always have to go up at least one and sometimes two sizes in DVF for just that reason... which is fine, because wrap dress, but psychologically it's a bummer. 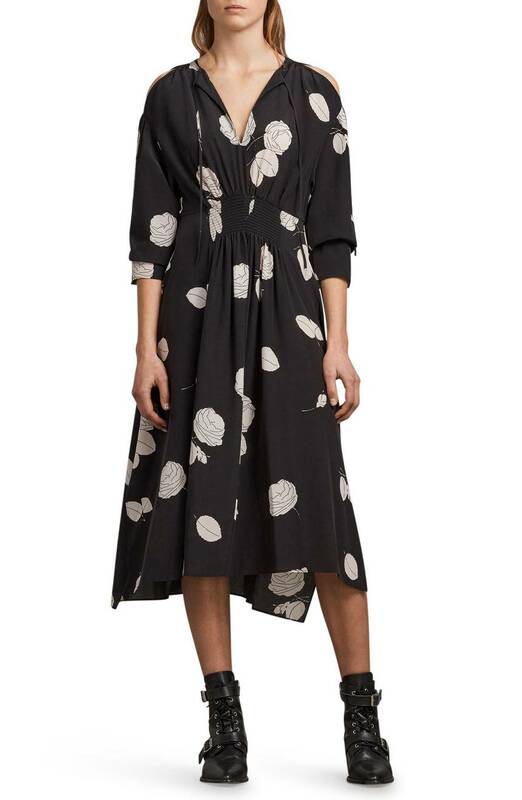 i love that first shirtdress by mango,& what an incredible price. also i highly recommend anything w/ those sleeves- i recently learned they’re called lantern sleeves. i never would have thought but they’re very flattering. takes attention away from stomach junk. 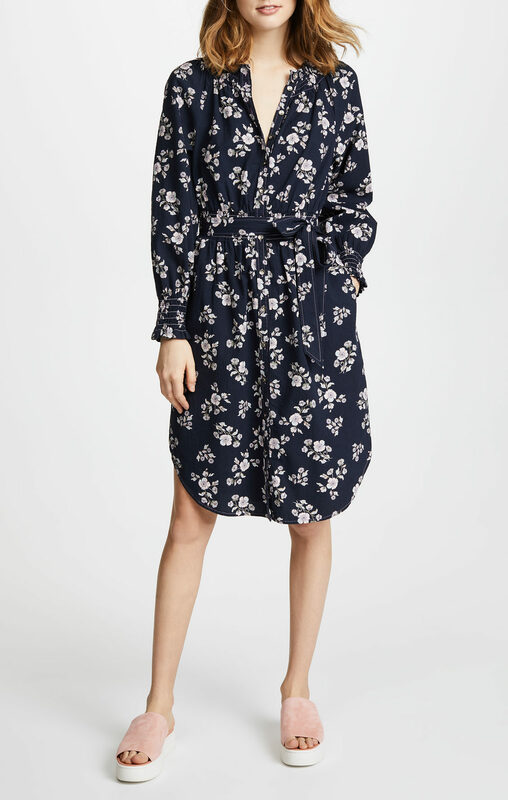 i love that first shirtdress by mango,& what an incredible price. also i highly recommend anything w/ those sleeves- i recently learned they're called lantern sleeves. i never would have thought but they're very flattering. takes attention away from stomach junk. I love the ones from Ganni but for realz those boots are awesome. Mango is doing a similar pair which are currently sold out here in Europe but I am on the waiting list! Agreed, I love the Ganni dress but I WANT those boots! Thanks, Kim, for including lots of different necklines and skirt lengths in this great collection. Love the "somewhat Grecian" black one from Farrow, altho trying to get away from what a friend called my constant "Italian widow look." Avene Midi Dress in Light Blue was so reasonably priced ($88), until I realized their Large fits like a US size 8. Ditto the leopard print. That…..seems unreasonable. 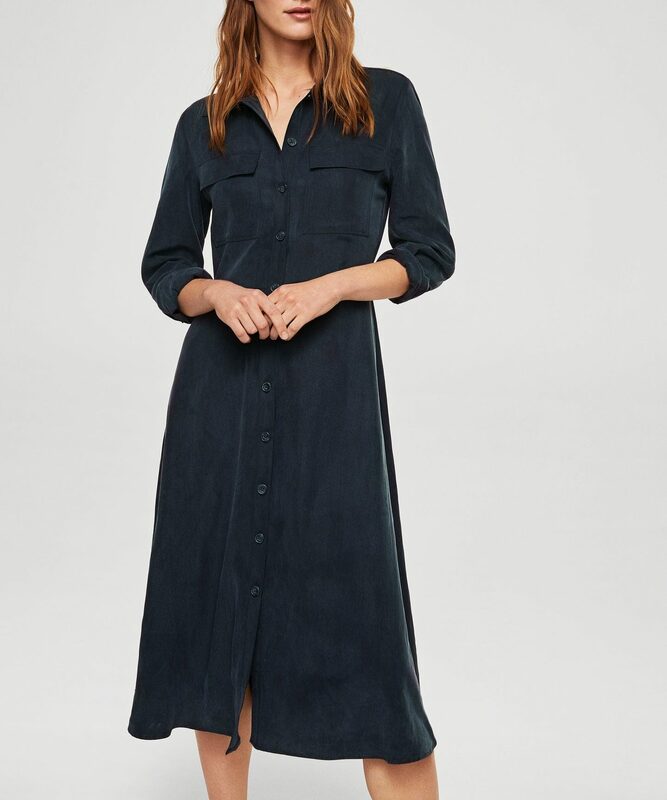 Loving this post, and was pleased to see the Farrow Avene Midi Dress in Light Blue was so reasonably priced ($88), until I realized their Large fits like a US size 8. Ditto the leopard print. That.....seems unreasonable. I can picture living in the peasant dress by The Great and the floral sundress by Roberta Roller Rabbit all summer. 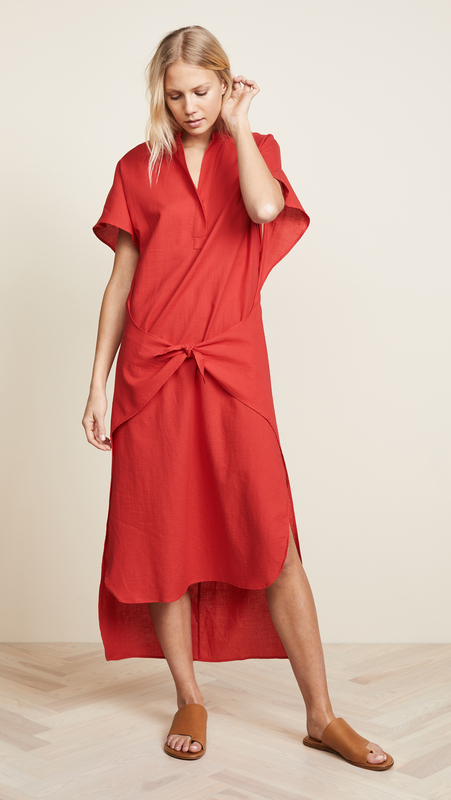 And if I had to dress more “seriously,” I’d wear the Vince wrap-look dress. I can picture living in the peasant dress by The Great and the floral sundress by Roberta Roller Rabbit all summer. 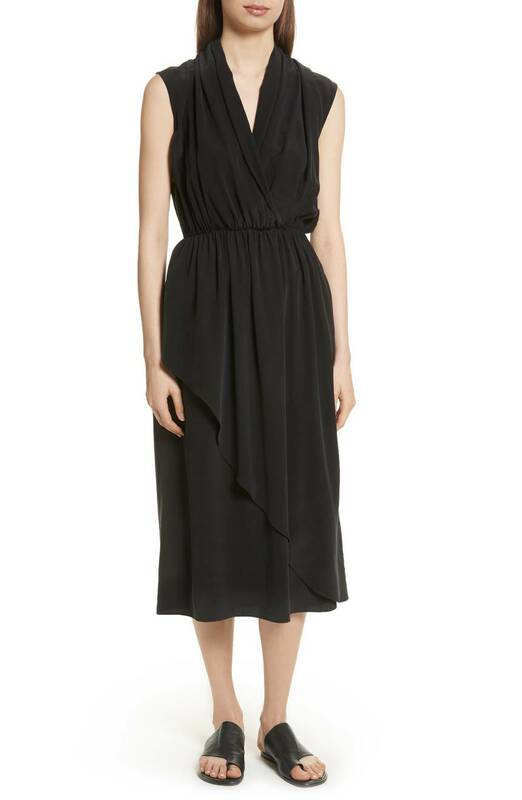 And if I had to dress more “seriously,” I’d wear the Vince wrap-look dress. Lovely collection, Kim! Caveat–I ordered that yellow ruffle Need Supply dress and while it is gorgeous is runs VERY small. Caveat--I ordered that yellow ruffle Need Supply dress and while it is gorgeous is runs VERY small.